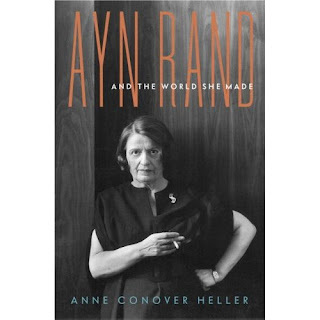 Anne Heller's biography of Ayn Rand (Ayn Rand and the World She Made) is scheduled to be released on February 17, 2009. I know very little about this book, but I did enjoy listening to Miss Heller's lecture at the 50th anniversary of Atlas Shrugged last year. I suspect that the page count (368 pages) is off by quite a bit.